Heat oven to 350°F. Lightly grease 8-inch square pan with shortening or cooking spray. 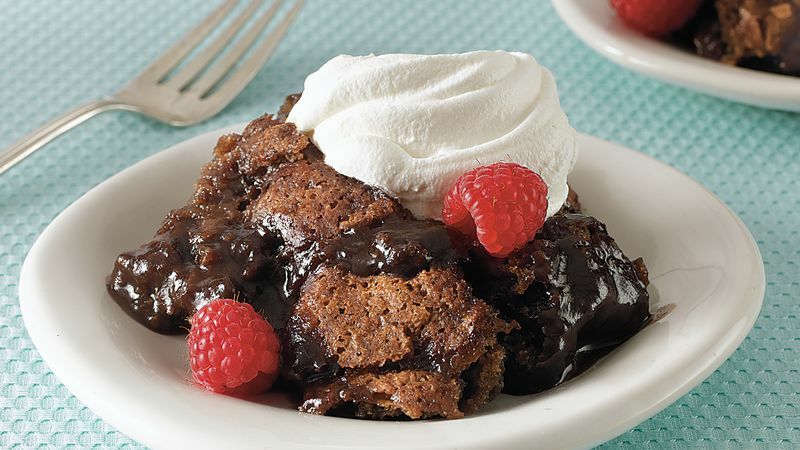 In medium bowl, mix flour, 2 tablespoons of the cocoa, the baking powder, salt and 3/4 cup of the granulated sugar; stir in milk, oil and vanilla. Spread batter in pan. Bake 45 minutes or until cake layer forms on top and springs back when lightly touched. Cool 25 minutes. Serve cake warm with whipped topping and raspberries.